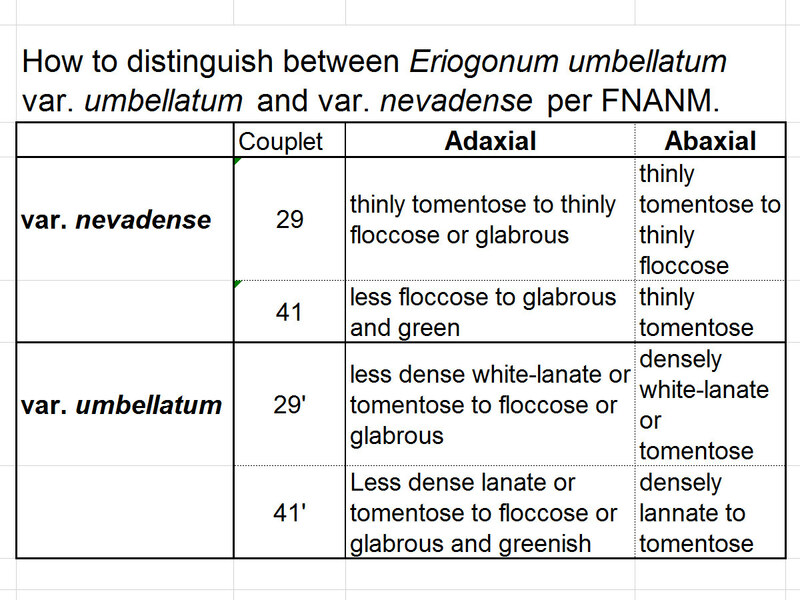 Photo: How to distinguish between Eriogonum umbellatum var. umbellatum and var. nevadense per FNANM. Eastern Mojave Vegetation How to distinguish between Eriogonum umbellatum var. umbellatum and var. nevadense per FNANM. Field Notes: 13-Aug-08. 15 Jul 2010. Other photos about Species - Polygonaceae or Eriogonum umbellatum.